ST. GEORGE — A specially trained group of troopers made their semiannual trek to Southern Utah to help with DUI enforcement, netting 10 arrests over the weekend. The Utah Highway Patrol DUI squad that visited St. George Friday and Saturday is composed of about a dozen troopers tasked specifically with finding drunken or otherwise impaired drivers on the state’s highways. “We were tired of the snow up here, so came down to do some enforcement down there,” UHP Lt. Paul Kotter said. The squad is based out of Weber and Salt Lake counties throughout the year with occasional trips to other parts of the state. Troopers apprehended seven individuals for DUI violations in the St. George area and three near Cedar City. With only one of the St. George area arrests occurring Saturday night, Kotter said he believes people took notice, saying his troopers noted more cars staying put at drinking establishments and a spike in taxi use. “We think our presence there encouraged people not to drive Saturday night,” Kotter said. 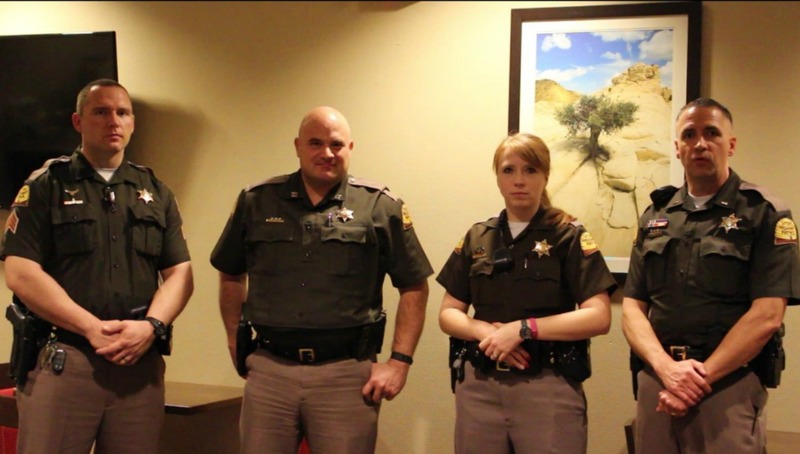 The squad that appeared in Southern Utah this weekend was composed of the lieutenant, a colonel, two sergeants and several troopers on the lookout specifically for DUI violations. “We’re looking for anything from equipment violation on a car to lane travel, speed – any traffic law that is broken gives us cause to stop the car and check for alcohol,” Kotter said. Two of the arrests were for drug impairment, serving as a reminder that troopers are not just on the lookout for alcohol violations. He said the number of arrests in Southern Utah were comparable to what the Weber County squad arrested that same weekend. Despite the squad’s unique charge, UHP trains all of its troopers to recognize drivers that appear to be behind the wheel impaired. wow! 10 whole cars? That’s amazing. And of course their presence stopped people from driving drunk. It has nothing at all to do with the lower alcohol consumption rates based upon the predominant religion here in Utah. It Exactly has something to do with the lower BAC. To avoid problems with being arrested, or alcohol to be blamed for any tickets, accidents, or arrests…don’t drink and drive. Thank you for not drinking and driving. The best place to park is upper bluff street in parking lot across the street from the road leading up the hill to elks lodge.. I,ve seen some crawl out of the club and try and drive.. Spotters would be looking out on the outerwindows to see if troopers were watching below..MIts a sure place to nab them. Most of us are for keeping drunk or simply erratic drivers in check or off the road. However, police trolling and pulling cars over just to pull them over is un-constitutional. If a car pulls out of an establishment that serves alcohol it is not reason to pull it over. Overreach. Good! 2016 was one of the worst years on record for DUI fatalities, with an average of 28 people killed PER DAY. If someone tried to release an entertainment product today that ended up killing 28 people per day, most of them innocent bystanders, can you imagine the uproar? But society is used to alcohol and in denial, as it always happens to “someone else”. Of course, maybe I’m wrong. Texting and driving kills 11 teens per day, and there isn’t a big uproar there, either. These two facts are why self-driving cars will take over so quickly, eventually reaching the point where you’re viewed as a risky hater if you insist on being the driver. There is a very good chance that kids born today will never get or need a drivers license. While I would dispute your stats about any year in the last 25 being one of the worst on record for DUI fatalities. I totally agree with your assessment on the very near future, and impact self-driving cars, (and eventually self-flying drones), will have on the safety of future transportation period. Drunk, or not, you aren’t going to be behind the controls of anything moving much longer. Just imagine how many they’d catch if our local cops actually did traffic patrol themselves. Sorry, but incurring expensive hotel, per deim, driving expenses and overtime for 4 troopers because they “were tired of the snow up here…” seems like a taxpayer funded junket. Come on down during summer tourist season; then I will think otherwise.